Home / Happenings / Promotions / The Games Are On! Valid from 8 to 31 March 2019. The Games are on! Get moving with fun activities and rewards for the whole family at YewTee Point! Shop and scan the QR code in your FRx app at point of purchase to enjoy these rewards! Spend $30^ for a chance to drive away in a brand-new Volkswagen Tiguan. Run off with a $5 Digital Gift Card when you spend $100* ($140* including supermarket transactions). Spend $10 in a single receipt and your 1st hour of weekday parking is FREE! Limited to the first 50 shoppers per day. *Present a maximum of 3 same-day, same mall transactions (minimum $10 per transaction) via the Frasers Experience (FRx) App at Customer Service. Limited to 1 redemption per Frasers Experience member per day on a first-come, first-served basis, while stocks last. 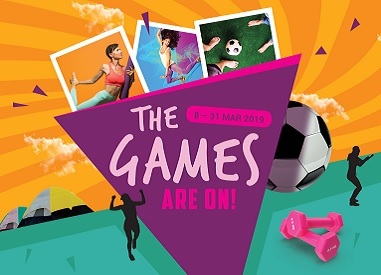 Lace up your track shoes and challenge yourself to the various sports stations! No spending required. Plus, spend $30* and be the first 150 participants to complete 5 stations to redeem a $10 retail voucher at Customer Service. Brought to you by Decathlon (Joo Koon). Dance off the calories with action-packed Zumba, Piloxing and Fight Do classes, brought to you by Yew Tee Community Sports Club! Limited to 100 participants per class. Book your slot at Customer Service or via Frasers Experience app. Simply spend $20 in maximum of 2 receipts to participate. Gotta catch 'em all! Your favourite Pokémon characters, including Pikachu and Eevee on selected days as well as exciting shrink art activities and carnival games that include Litten Game and Let's Battle, Pikachu! ^Limited to 40 families per time slot. 2. Membership is FREE. Frasers Experience is open to all local residents aged 18 years and above, holding a valid Singapore NRIC or foreign work permit. Tourists and shoppers holding on to employment pass, dependent pass and student pass are encouraged to visit the Customer Service Counter at any participating malls of Frasers Property for assistance. 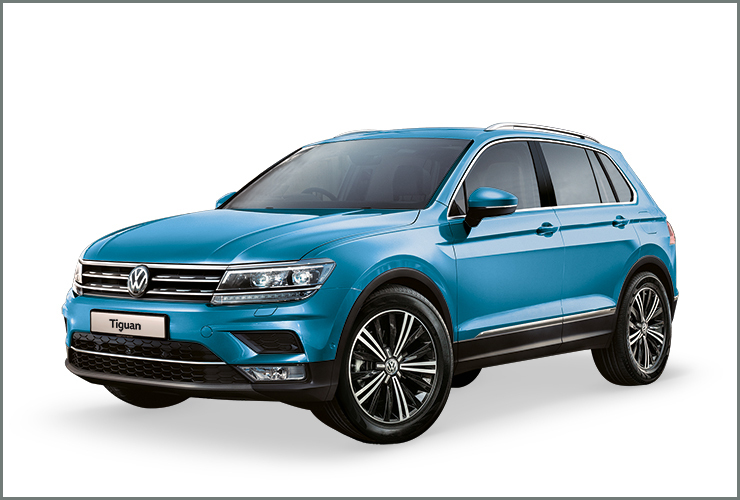 Receive 1 chance to win a Volkswagen Tiguan. • Minimum spend of $30 at participating malls in a single transaction to earn lucky draw chance(s). eg. if you spend $40 at a store, you receive a lucky draw chance. If you spend $50 at another store, you receive another lucky draw chance. For the spending of $90 in 2 transactions, you receive 2 lucky draw chances. Minimum $100 ($140* including supermarket transactions) spent at participating stores. Scan your member QR code in the app when paying in-store. Limited to a single redemption per Frasers Experience member per day regardless of total amount spent. • Present your member QR code in the Frasers Experience app to verify transaction details scanned to the same account on the day of purchase at Customer Service Counter to redeem a $5 digital gift card. In the absence of your member QR code, you may present your NRIC / FIN. • $5 digital gift card will be credited to member’s e-wallet in the Frasers Experience app. • The management of YewTee Point reserves the right to verify original receipts and purchases before granting redemption. • Present your member QR code in the Frasers Experience app to verify transaction details scanned to the same account on the day of purchase at Customer Service Counter to redeem free weekday parking for first hour. In the absence of your member QR code, you may present your NRIC / FIN. 3. For supermarket spending from NTUC FairPrice, member must present same-day, same-mall receipts at Customer Service to earn Frasers points. 4. All instant rewards ($5 digital gift card and/or first hour free parking) are available on a first-come-first-served basis and while stocks last. All instant rewards must be taken as they are and are not exchangeable for cash or in kind. 6. The Management of YewTee Point reserves the right to sight all purchases before granting redemption. 1. In the event of any dispute, decisions made by YewTee Point will be final and no correspondence will be entertained. 2. Information is correct at the time of printing. The Management of YewTee Point reserves the right to change the Terms and Conditions as it deems fit without prior notice.